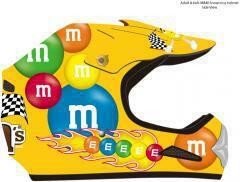 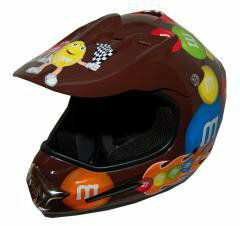 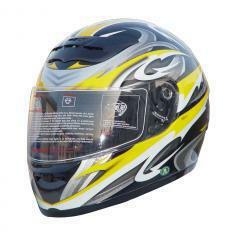 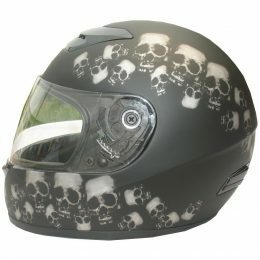 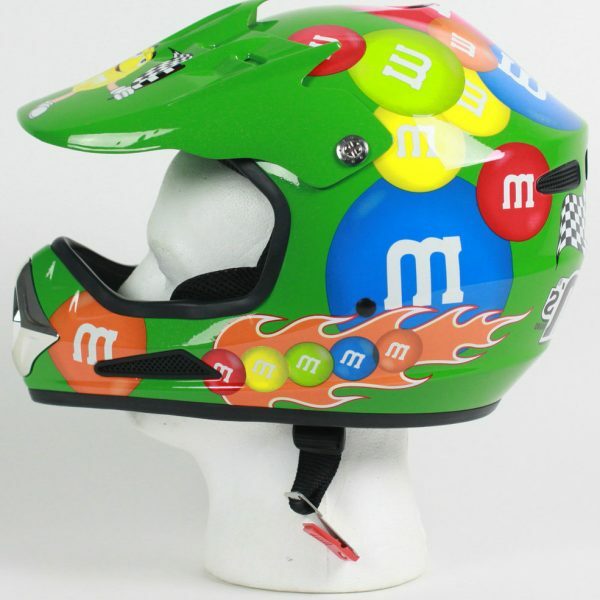 This special edition licensed and numbered Motocross helmet is here now. 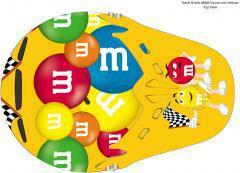 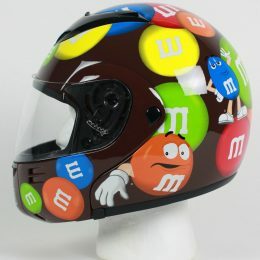 The new M&M graphic represents Helmets Inc. design director, Tony Dilberto’s, dream of putting animation on production helmets. 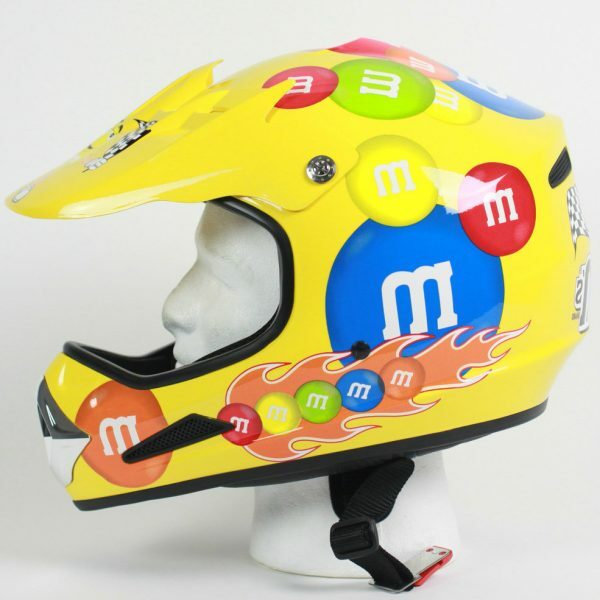 So he started with a photograph of animated M&M’s and instead of drawing it as art or using computer aided design-programs, he had the animation separated into the same four-color process that prints books and magazines. 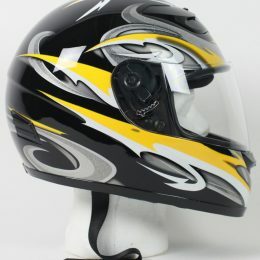 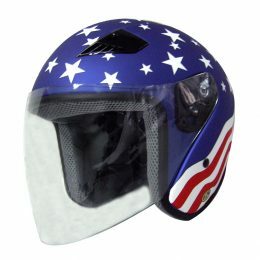 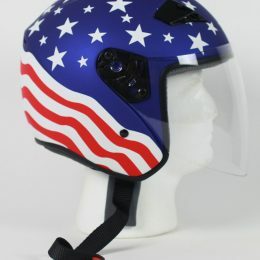 Then the four-color separation is ink printed on thin, flexible water slide decals, put on the helmet and clear coated. 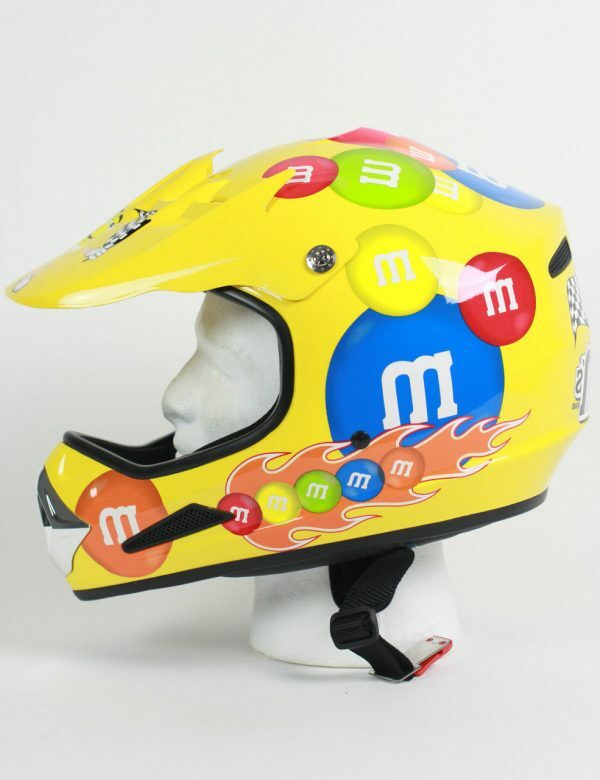 These limited-edition helmets come with verification of their authenticity and are available in full-face modular and MX dirt helmets. 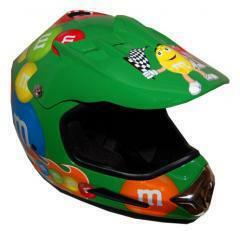 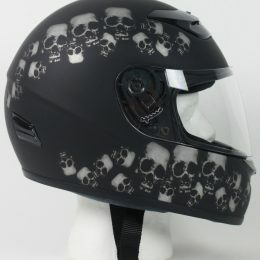 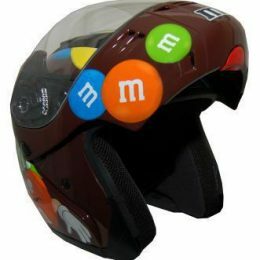 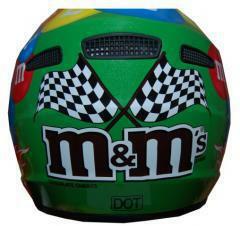 The first series of helmets (M&M) are on sale now, and are available in two unique shells: Full Face Street Modular and Off Road Dirt.